Stegosaurus armatus Marsh 1877, based on a partial tail and a very large dermal plate from the Morrison Formation (Late Jurassic) of Morrison, Wyoming, USA, is a nomen dubium. Valid Morrison stegosaur species (with possible autapomorphies, dermal “armor” considered if present), with most holotypes consisting of a disarticulated partial postcranial skeleton at most, include: Hypsirhophus discurus Cope 1878 (characters of incomplete vertebrae, a dorsal and a caudal; Garden Park near Cañon City, Colorado); Stegosaurus ungulatus Marsh 1879 (half skeleton with partial skull; three pairs of small flat dermal spines adjacent to terminal tail spikes; Quarry 12, Como Bluff near Como station, Wyoming; syntype is holotype of S. duplex Marsh 1887, half skeleton lacking armor; Quarry 11, Como Bluff); Diracodon laticeps Marsh 1881b (just partial dentaries with few teeth, diastema between predentary and tooth 1; Quarry 13, Como Bluff); Stegosaurus sulcatus Marsh 1887 (pair of ?tail spikes with greatly enlarged base; Quarry 13, Como Bluff); S. longispinus Gilmore 1914 (characters of distal caudal vertebrae, tail spikes: two pairs, sub-equal bases, transversely flattened, very elongate; Alcova, Wyoming); and Hesperosaurus mjosi Carpenter, Miles & Cloward, 2001 (?Stegosaurus mjosi; partial articulated skeleton with skull, no limbs, several plesiomorphic and autapomorphic characters, dorsal plates longer than tall; Wyoming). However, the well known valid nominal species, S. stenops Marsh 1887 (12 autapomorphies, three alternating flat plates adjacent to terminal tail spikes; Garden Park), is based on a virtually complete articulated skeleton lacking only the terminal caudal vertebrae and first pair of tail spikes. It includes 17 dermal plates, is still exposed as preserved on the block, and is the current basis for Stegosaurus. The International Commission on Zoological Nomenclature (ICZN) will be petitioned to designate S. stenops Marsh 1887 as the new type species of Stegosaurus Marsh 1877 in order to conserve Stegosauria Marsh 1877 and Stegosauridae Marsh 1880 (also Stegosauroidea, Stegosaurinae). I wish to thank the following people for their assistance while intermittently studying specimens at their respective institutions over the last 33 years: Daniel Brinkman, the late John H. Ostrom, Mary-Ann Turner (YPM) and Walter Joyce (YPM, now at the Universität in Tübingen, Germany), Ken Carpenter (DMNH), Eugene Gaffney (AMNH), the late Nick Hotton, III, Michael Brett-Surman and Robert Purdy (USNM), the late Paul McGrew (UW), and H.J. “Kirby” Siber and Ben Pabst (SMA). I also thank the following for personal communications: Robert T. Bakker (Houston Museum, Texas, USA), Brent H. Breithaupt (UW), Ken Carpenter (DMNH, also for copy of 2010 MS), Octavio Mateus (Museum of Lourinhã, Portugal), John S. McIntosh (Wesleyan University, Middletown, Connecticut, USA), Matthew T. Mossbrucker (MNHM), and Kirby Siber (SMA); Gregory Paul (Baltimore, Maryland, USA) kindly provided Fig. 2. This research was started while in receipt of USA NSF grants DEB 77-24088 and BSR 85-00342. Lastly, I am extremely grateful to “Kirby” Siber for the invitation to talk at the Stegosauria Symposium and for hosting my visits to the Sauriermuseum Aathal. The MS benefited greatly from the comments of editor “John”-Paul Billon-Bruyat and reviewers Philip J. Currie (University of Alberta, Edmonton, Canada) and especially Susannah C.R. Maidment (The Natural History Museum, London, UK). Billon-Bruyat, J.-P., Mazin, J.-M. & Pouech, J. (2010). A stegosaur tooth (Dinosauria, Ornithischia) from the Early Cretaceous of southwestern France. 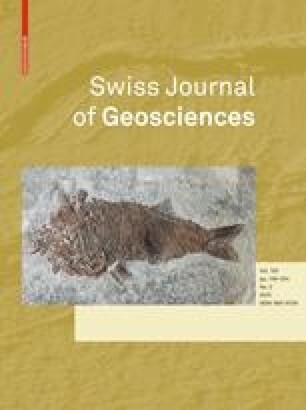 Swiss Journal of Geosciences, 103 (this volume). doi: 10.1007/s00015-010-0028-y. Carpenter, K. (2010). Species concept in North American stegosaurs. Swiss Journal of Geosciences, 103 (this volume). doi: 10.1007/s00015-010-0020-6.